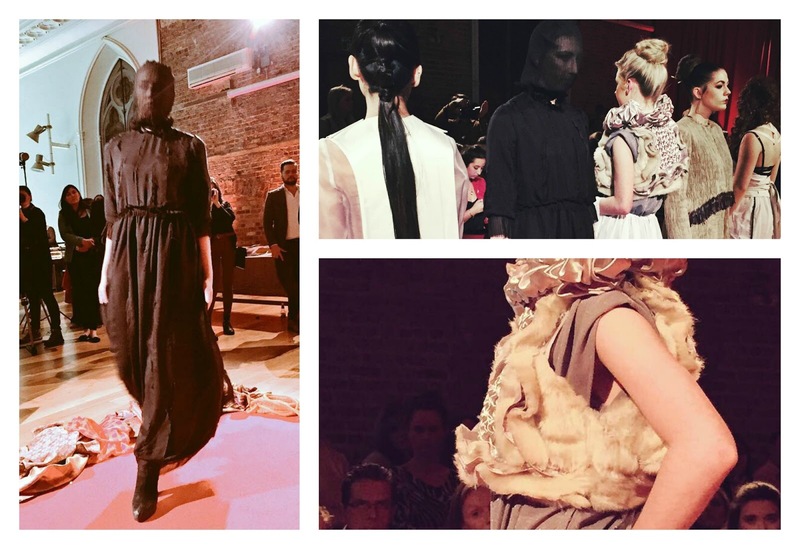 Last week I was invited by Vodafone to check out their ever-so famous DIT Young Designer Fashion Show semi-finals in the beautiful Smock Alley theatre. 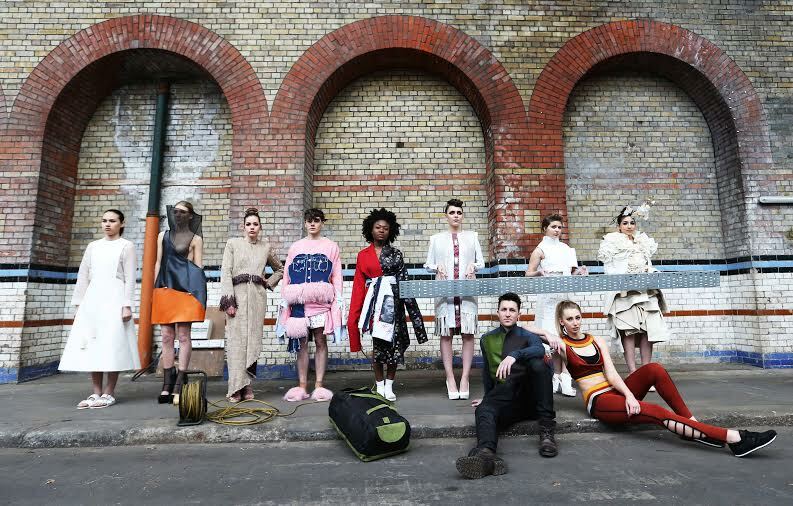 22 Irish designers displayed their immensely unique creations under the title 'Cultural Fusion'. Students came from all over Ireland to showcase their talents; from my very own NCAD in Dublin, to Griffith College, LSAD and more. It was truly exciting to witness the incredibly high standard of emerging talent coming from our shores. I was lucky enough to test out the new HTC One M9* handset for the night to snap photos off and as you can see from the below, they turned out pretty snazzy! It's usually really difficult to take decent shots of models during catwalk shows so I was genuinely surprised at how clear they came out and how quick it was to snap, edit and post to Twitter after each look. My personal favourite designs from the night were Colton Mc Guirk's 'Parisian Pillars' (pictured above, left) - it reminded me of Victorian mourning dress, which instantly drew me in, naturally. 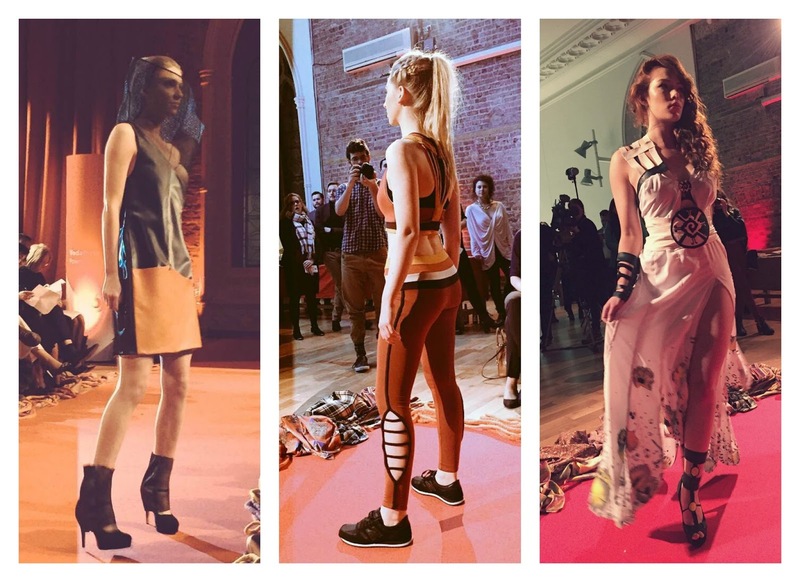 I also adored Magdalena Galica's sportswear-inspired look 'Move.. Back To The Roots' (pictured below, centre) and Emma Gannon's 'Ground Zero American History Past And Present' (pictured below, left). It was so interesting to see everyone's take on 'Cultural Fusion' and the mix of different inspirations from all over the globe. The semi-finalists were whittled down to a final 10 by the uber-fab judges on the night; Brendan Courtney, Bairbre Power, Jules Fallon, Umit Kutluk, Maria Fusco and Lou Conlon. It'll be exciting to see who wins next month, although each designer is a star in their own right. 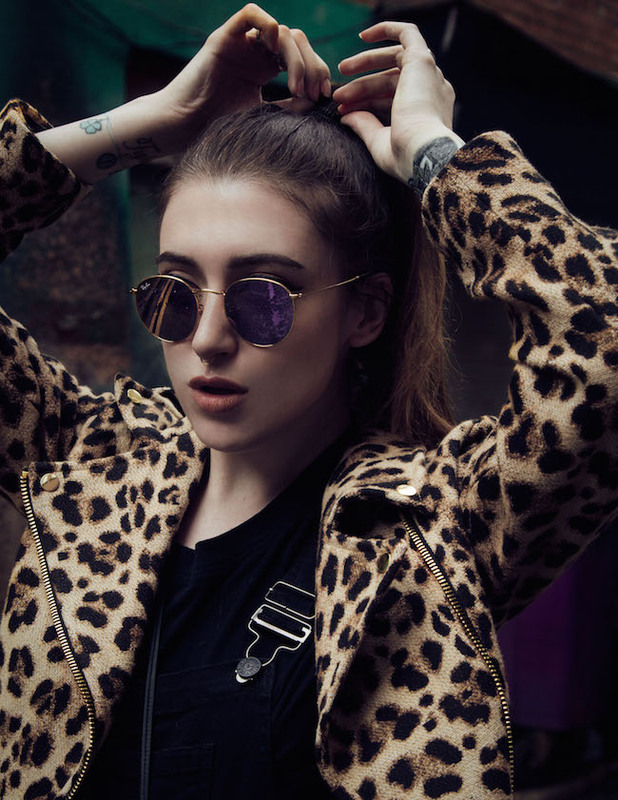 The Vodafone DIT Fashion Show final will be held on April 14th in Vicar Street. Tickets are priced at €20 (or €15 for students) and you can buy them online here. Net proceeds of the show will go to the wonderful Jack & Jill Children's Foundation. I'd highly recommend anyone interested in fashion, blogging or design in general to try and attend as it's an amazing experience to see Irish budding designers' creations in the flesh. See you there!